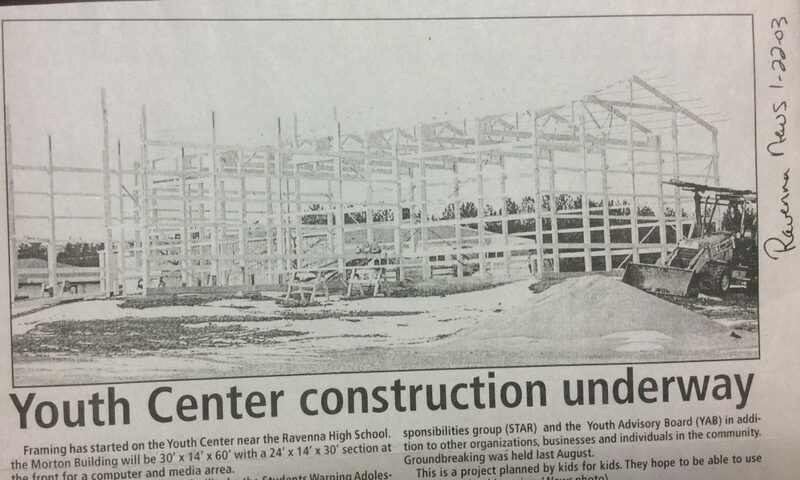 In 2002 the Ravenna youth had a building on their mind. 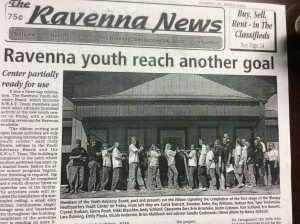 The Youth Center began when a group of Ravenna students, knows as the S.W.A.T. 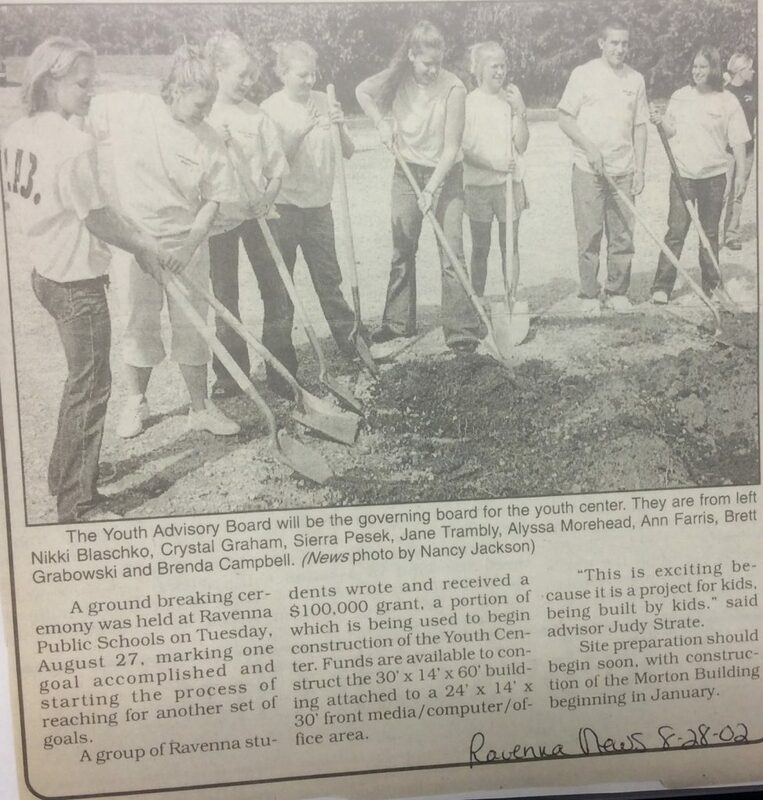 or Students Warning Adolescents about Tobacco, received a $100,000 grant to start building a youth center. 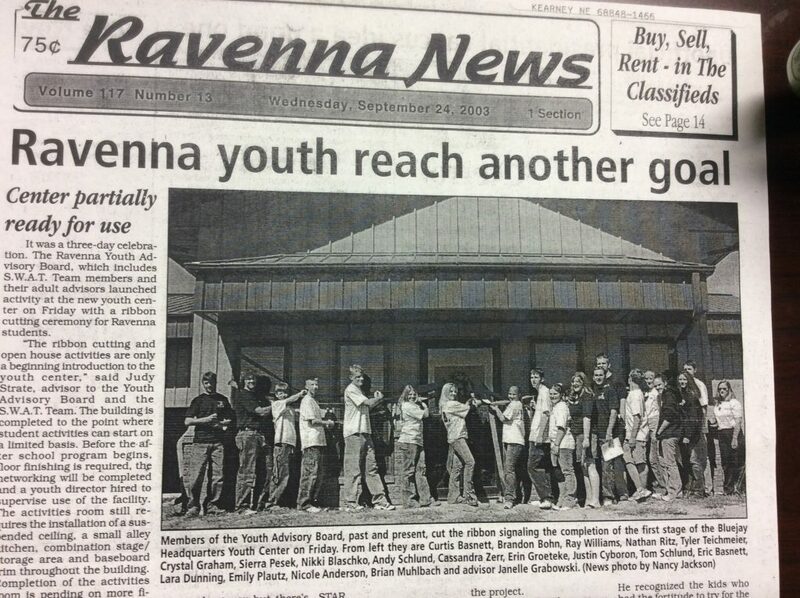 These students had the same passion for advocacy and awareness as did the Youth Advisory Board students. The youth recognized that they needed a place to do homework, have meetings, and could gather in a supervised place, and they decided to act on that. Strate applied and received $20,000 from Buffalo County Community Partners to finish their building and pay a director to be at the center August through January. The center was completed in stages once the structure was complete. 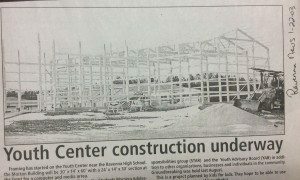 The center planned to have a computer lab, mentoring center, offices, and printing lab. The youth recognized that they needed a place to do homework, have meetings, and could gather in a supervised place, and they decided to act on that. ally ready to open. 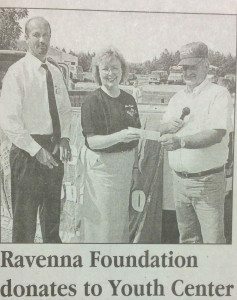 The Youth Advisory Board planned a 3-day Open House on the weekend of September 19th 2003, funded by a Youth Grant from Community Partners. 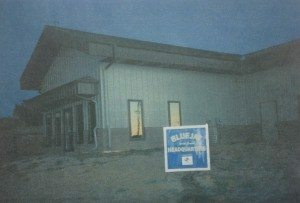 Completion of the Youth Building. 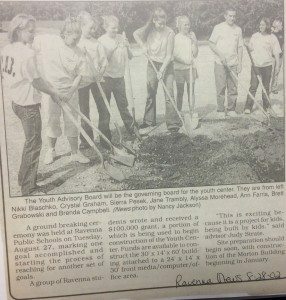 In 2004 the Youth Advisory Board was honored by The Knights of Ak-Sar-Ben Foundation as the recipient of the Ak-Sar-Ben Ike Friedman Community Leadership Award, for the work they had been doing in the community. 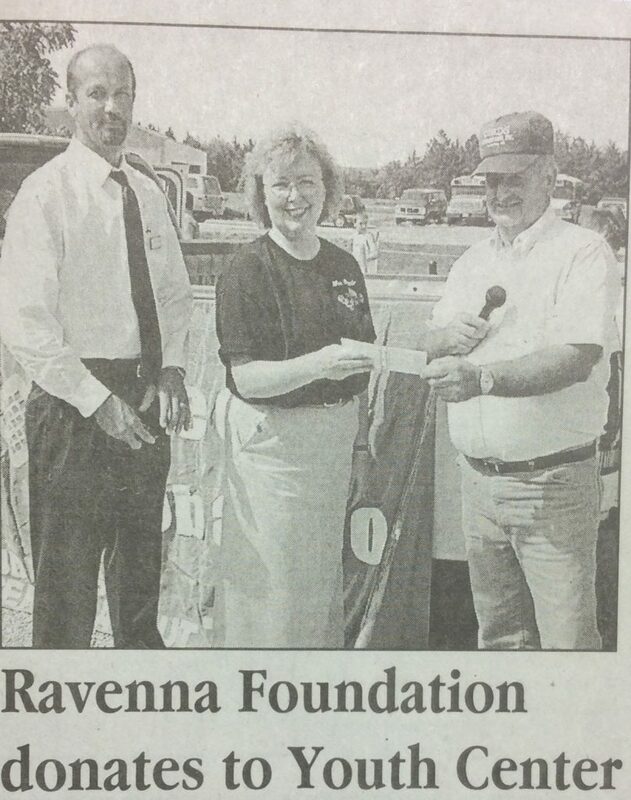 Judy receiving funds from the Ravenna Foundation for the Youth Center.